Dong Xiu Sheng (1882-1939), also known as Dong Jun, was born in Taigu, Shanxi province. As a boy, Dong learned martial arts and Chinese medicine from his father. Later he learned Five Elements Soft Method of Shaolin (Shaolin Wuxing Roushu) from Li Shi Ying. He also learned Xing Yi from Liu Wen Hua the son of Lu Qi Lan as well as Geng Ji Shan (a student of Liu Qi Lan. Liu Qi Lan was one of the most famous disciples of Li Neng Ran, the creator of Xing Yi Quan. Dong also studied Ba Gua with Sun Lu Tang and Geng Ji Shan, who were themselves students of Cheng Ting Hua. 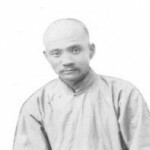 Dong Xiu Sheng was a practitioner of traditional Chinese medicine and spent most of his life traveling in Northern China studying martial arts and treating patients. He was an well-known and influential practitioner of Xing Yi and authored several books on the subject. One of his top students was Li Gui Chang who passed away in 2000 at the age of 86. As a practitioner of Chinese medicine Dong read the medical classics and was familiar with the Huang Di Nei Jing, (the Yellow Emperors Classic of Internal Medicine) Most of his discussion on training and nourishing the body in harmony with seasonal change is either a paraphrasing or extrapolation of the ideas contained in Chapter Two of the Su Wen: “Preserving Health in Accordance with the Four Seasons.” What is interesting about Dong’s viewpoint is that he specifically discusses how to adapt one’s training in Xing Yi Quan (Form-Intention Boxing) and martial arts training in general, to conform with the energies of the four seasons. The implication is that by adjusting one’s training program with the seasonal variations, one will not only preserve one’s health and prevent disease, but will also receive the maximum benefit from the training. In traditional Chinese medicine, disharmony of the emotions and psycho-spiritual faculties is considered to be one of the major causes of disease. The movements of the mind and the emotions are essentially movements of the qi. Anger is equivalent to the qi rising upward and frustration, an expression of the qi being blocked. Therefore to harmonize our qi with the seasonal qi, the Nei Jing tells us that we must also align our mental state with the seasonal qi – the configuration of the qi of heaven and earth at that time of the year. In order to fully understand Dong Xiu Sheng’s discussions of the seasons we must look at the Chinese calendar. Unlike the Western solar calendar, the Chinese calendar is partly based on the lunar cycle. Therefore the days on which important holidays and seasonal markers occur can vary from year to year. However, the Chinese also divide their calendar into 24 “Solar Nodes” which reflect climactic changes occurring as the earth rotates around the sun. The 24 Solar Nodes can easily be converted to the Western solar calendar as they occur at roughly the same time each year. However, as China is in the Northern Hemisphere, the dates must be reversed for people living in the southern hemisphere. Eight of these nodes mark the beginning of each season, the spring and autumn equinoxes and the winter and summer solstices. Looking at these eight nodes you may be surprised to see that the Beginning of Spring in the Northern Hemisphere occurs on February 4/5. In the West, we usually think of spring as beginning on the Vernal Equinox (March 20th or 21st). In the Chinese lunar calendar, the beginning of a season comes somewhat before that season appears on the Western solar calendar. This is because, the start of a new season is actually begins when the energies of that season begin to develop. This first “stirring” of the new season’s energy happens several weeks before those energies actually manifest in an obvious way. For example the “Beginning of Spring” is in early February on the Chinese calendar. This corresponds with the first stirring of rebirth and growth associated with the energies of spring. Often at this time a warm spring breeze will be felt for a day before cold returns. It is at this time that sap begins to rise in trees, and similarly within us we feel the sap rise within us. These dates are reversed for those living in the southern hemisphere. Beginning of Spring: Yang Qi begins to dispel the cold. Plants and creatures begin to grow. Vernal Equinox: Day and night are equal in length; Yin and Yang are equal. The days become warmer. Beginning of Summer: Yang continues to grow and living things flourish. Summer Solstice: Longest day of the year. Yang peaks and yin begins to grow. Beginning of Autumn: Yin grows ascendancy. Early fruits are harvested. Autumn Equinox: Yin and Yang are again equal. Another time of balance for people to harmonize Yin and Yang and collect vitality back to the center to strengthen their health for winter. Beginning of Winter: Yin gains ascendancy and plants and flowers wither. Winter Solstice: Shortest day of the year. Yin peaks and Yang is generated. In winter, yang is submerged within and yin circulates at the surface. Hence one must be careful not to sweat or to over use medicinal herbs that drive out pathogens through diaphoresis as this will deplete the yin and yang energies of the body at a time when these energies should be stored and nourished. Hence Dong Xiu Sheng advises practicing tranquil quiescent skills rather than active movements which might cause one to sweat thereby depleting the body. Similarly, men are advised to curtail sexual activity in order to preserve jing-essence in this time of stillness and storage. Even one’s thoughts and desires should be contained so as to gather one’s energies for the spring to come. In this final passage Dong Xiu Sheng refers to diet, but give us no specifics of what “natural in diet” refers to. Dong may have taken for granted that the reader would know what he was referring to, because the principles of natural and harmonious eating are an intrinsic part of the traditional Chinese diet. In Chinese dietary therapy, foods are classified according to their tastes or flavors. These flavors indicate not only what something tastes like on your tongue, but the inherent qualities of foods which have certain traits and produce certain effects. In addition each flavor “homes”, or is drawn to one of the viscera. This idea of the five tastes or five natures of foods is based on the five element theory which also forms the bases of the five fists in Xing Yi Quan. In spring one should eat more mildly sweet food and less sour food. Because sour is associated with liver-wood qi which is more active and flourishing in the spring, the liver does not need to be stimulated. Instead it is necessary to eat foods that nourish the spleen and stomach which aid in the building of blood an qi. The nourishing quality of these foods helps one adjust to the harsh changeable climate of early spring. Another way to think of this is in relation to the Nei Jing’s advice that in spring, we should let down our hair and take long walks in nature. Dong Xiu Sheng advises that one also engage in more active practice of moving skills, particularly as the days become warmer. The sour nature of foods like vinegar tones the viscera, muscles and sinews because the sour flavor tends to astringe the tissues. In excess this astringent aspect of the sour flavor can cause muscles and sinews to tighten and cramp, causing pain and restriction. The spring is a time when the sap is rising , plants and trees begin to grow again. The world is stretching and extending it outward. As human beings we are also stretching and extending, our qi is reaching outward in harmony as we exercise and move more after winter’s retraction and withdrawal. The astringent nature of sour foods, if consumed to excess, interferes with this outward movement. In summer one should eat more pungent/spicy foods and less bitter foods. Eating spicy foods that heat us up in hot weather may seem counter-intuitive at first. Pungent foods home to the lung They tend to warm the body thereby accelerating the movement of the qi and blood (the circulation). Therefore such foods tend to disperse stagnant moisture. Pungent foods also promote sweating which helps to release excess heat from the body. This is perhaps why a common feature of the traditional diets of people that live in warm damp climates includes spicy foods with hot peppers. Pungent foods can exhaust the qi overheat the body and dry the tissues if eaten in excess. In summer the fire element and the heart energy peak. Bitter Foods home to the heart. Bitter foods stimulate the heart. They help the body eliminate heat and can disperse stagnant moisture and qi. However in excess they can be drying, or can over-stimulate the heart whose energy is abundant at this time. It is natural to consume more cooling, yin, foods – fruits, juices, cooling drinks. – in the summer, However, too many cooling foods put out the digestive fires and damage the spleen and stomach leading to bloating diarrhea and other digestive problems. Therefore one must balance cooling foods with some warming and pungent foods. In autumn, the qi of metal-lung flourishes. Therefore one should eat less pungent/spicy food and more sour food. This prevents metal-lung from interfering with the liver: The acrid [pungent] taste acts on the lung. If the acrid taste is taken excessively, lung-metal will restrict liver-wood. As the liver determines the condition of the tendons, when the liver is restricted the tendons will become loose. Because the acrid taste also has the function of dispersing, the excessive taking of the acrid taste will consume spirit as well. In this season when yin grows and yang recedes qi and blood must be conserved and restrained from being pushed outward excessively. Exercise must be moderated (Dong advises balancing quiescent and active training) and sweating contained so that yang qi is retained and blood is not dispersed. In this way the liver and tendons will be nourished and the spirit will nurtured. The sour taste through its astringing action helps to restrain this outward movement of qi and blood. In winter kidney-water flourishes. Salty foods are said to home to the kidneys. Salt has a powerful effect on the fluids of the body Because the kidneys are the primary filter of body fluids, salty foods tend to concentrate qi, blood and fluids and move them downward toward the lower body, aiding the kidney function. In excess salty foods can cause stagnation and retention of fluids. The salty taste can soften hardness and is superior to the blood, so when the salty taste is taken too much, it will damage bone and muscle  If the kidneys are over-stimulated disharmony of the heart and spirit can also result. Therefore one should eat less salty food in winter and more bitter food which homes to the heart. This, in conjunction with more quiescent training and keeping the spirit calm and the mind without desire, protects and nourishes heart qi. Although in winter it is natural to crave and consume more warming, stronger tasting and richer food, one must be careful to balance their consumption with yin moistening and cooling foods. Otherwise, it is possible to accumulate too much inner heat, which will overheat the heart and upset the spirit. In the summer Gao warns us against seeking relief from the heat in drafty shady places, because “noxious winds” can invade the body. Seek out the tranquility of a clean and spacious room, or the pure yin nature of an open water kiosk, to achieve a natural state of coolness. It is common for people in China to sleep outside during warm summer weather even in cities like Beijing. Gao tells the reader to be cautious about doing this particularly if one had eaten cold food, is sweating and sleeps in a drafty place. A common summer illness is wind disease due to sleeping outside on a hot night and being exposed to the pre-dawn cold. In modern times this situation can be created by sleeping with a fan or air-conditioner blowing on you when you are sweating. The advice of Dong Xiu Sheng, the Nei Jing and Gao Lian should not be lightly ignored We all perceive the changes of the seasons, and yet many of us are unaware, or simply ignore the fact, that these same cycles take place within our own bodies and can have profound ramifications upon our health and longevity. Modern technology often lets us feel that we have outwitted Mother Nature. Central heating and airline flights to warmer climes allow us to feel the warmth of summer in the dead of winter. Summer’s fruits and fall’s harvest bounty are available all year round. And yet even with these advances, our bodies are still attuned to the rhythms of the seasons. Rather than fooling nature, these modern miracles often confuse the body’s natural wisdom, sowing the seeds for illness in the future. Dong Xiu Sheng ideas are particularly interesting, not only because they reiterate basic principles of Chinese medicine on preserving health and preventing disease, but because he relates them to the practice of Xing Yi Quan which is itself based on five element theory. The implication of Dong’s words is that harmonizing yin and yang through the practice of internal boxing, cannot be separated from connecting and conforming to the seasonal changes in the world around us. By aligning ourselves with these movements of heaven and earth we, not only protect our health, but improve our skills (in Xing Yi Quan), integrate form with spirit and progressively improve. Training in Xing Yi is not just the physical performance of the five fists, the forms and the other aspects of training. Training in Xing Yi is a deep and profound engagement with all aspects of life. The Yellow Emperor’s Classic Of Internal Medicine And The Difficult Classic, (Su Wen – Chapter 2) Henry Lu – Trans. Vancouver, B.C. : Academy Of Oriental Heritage, 1978. and Yellow Emperor’s Canon of Internal Medicine, Bing Wang, translated by Nelson Liansheng Wu and Andrew Qi Wu. China Science and Technology Press. Essentials of Xing Yi Quan. Yellow Emperor’s Canon of Internal Medicine, Bing Wang, translated by Nelson Liansheng Wu and Andrew Qi Wu. China Science and Technology Press. Yellow Emperor’s Canon of Internal Medicine, Bing Wang, translated by Nelson Liansheng Wu and Andrew Qi Wu. China Science and Technology Press, p. 24..
 23Promoting Health During the Four Seasons, translated and introduced by Heiner Fruehauf, Ph.D., L.Ac., Institute for Traditional Medicine, Portland, OR. Introduction edited and amended by Subhuti Dharmananda, Ph.D., Institute for Traditional Medicine, Portland, OR.